I hope you've all had a great (very long) Jubilee weekend. 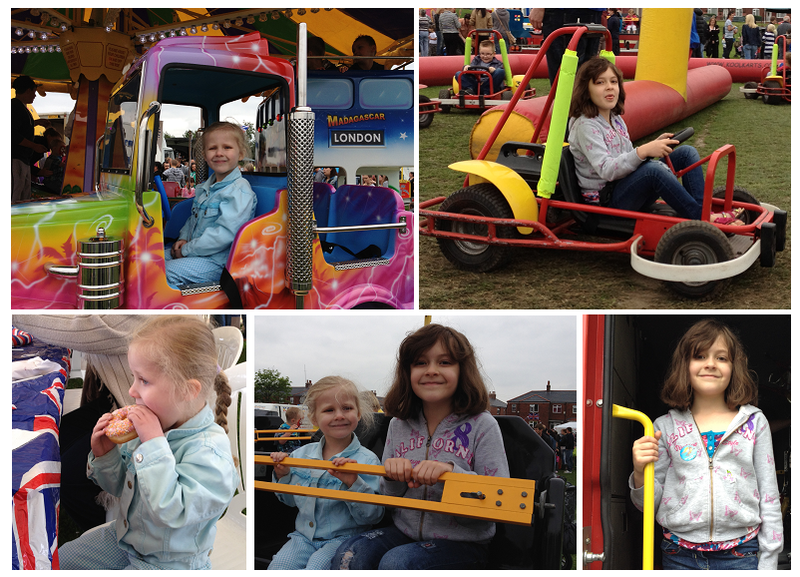 Apart from the not-so-good weather, we've had a great time. 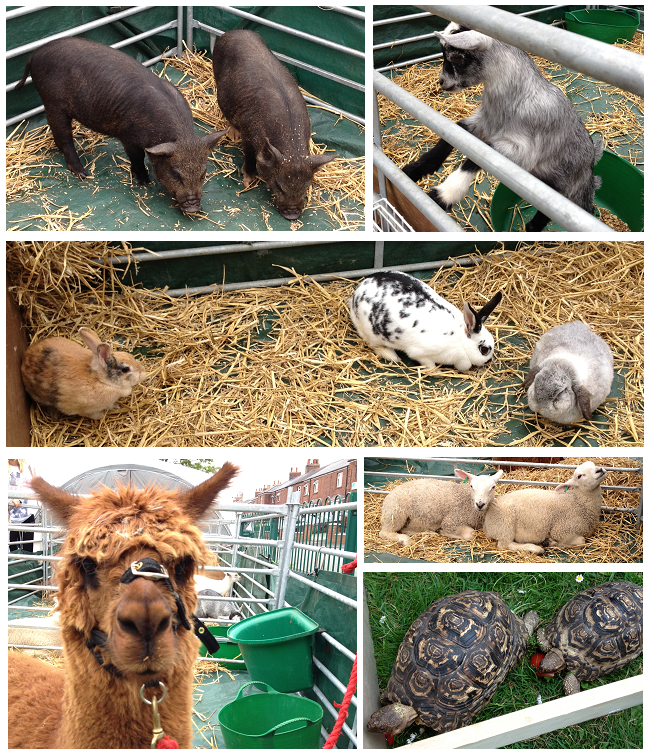 On Saturday there was a Jubilee celebration at our local park with animals, rides, food, stalls and face painting and crafts as well as a live band playing everything from Oasis to Tom Jones. The park is only a 5-10 minute walk away so it was ideal for us to pop over and have a wander round. Part way through the afternoon, a fire engine arrived and the children could have their photo taken on it. The kids had a great time and it didn't start raining until we were back on our street! On Sunday we went to the party that The Jellyfish's Brownies and church were holding. Everyone took some food to make a huge buffet so - any excuse to bake - I made some Jubilee Cupcakes. 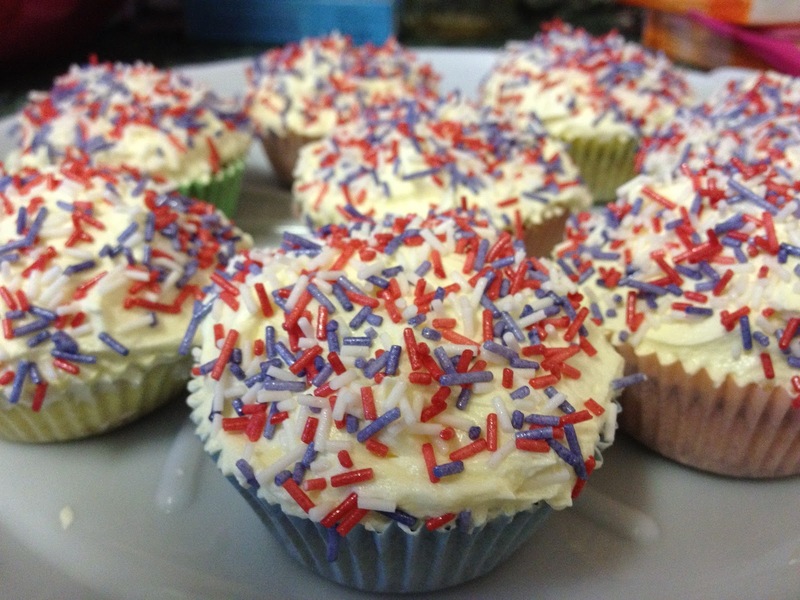 I used one of the cupcakes recipes from Marian Keyes' Saved by Cake but used red, white and blue sprinkles to make them 'jubilee'. Those cupcakes look yummy! Sounds like you had a great Jubilee weekend. I'm glad the weather held off long enough for you to have some fun! Thank you :-) I hope you had a great Jubilee weekend too. The cupcakes were yummy and the buttercream in Marian Keyes' recipe was so much nicer than the one I usually use. My touchstone on this subject continues to be Irene Gallo's collected remarks about what art directors look for in a portfolio site. She stipulated the most important features as being the ability to save to or drag to the desktop right from the full image, and full-image previews. This solution only misses the latter. Wow - great post! It looks like a fantastic day. I have heard so many rave reviews for 'Saved by Cake' - I am really wanting to buy it after seeing your delicious cakes too! Hi Steph. I think the recipes in Saved By Cake are fab - I'm only a beginner at baking and so far the recipes have been so easy to follow. Marian Keyes' personality shines out of the pages, even in a cookbook.